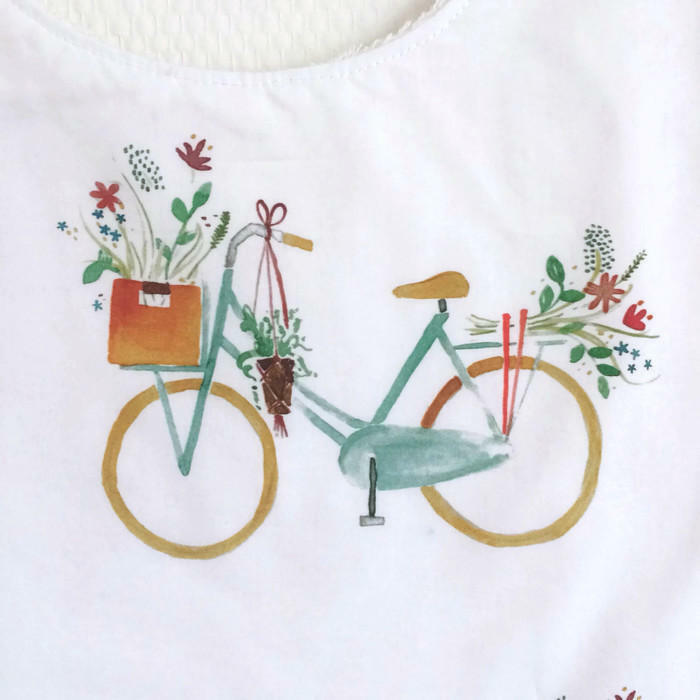 Keep your baby happy and dry in this white cotton bib with lovely bicycles and flowers. It also makes a great baby gift for a cute baby girl or boy! 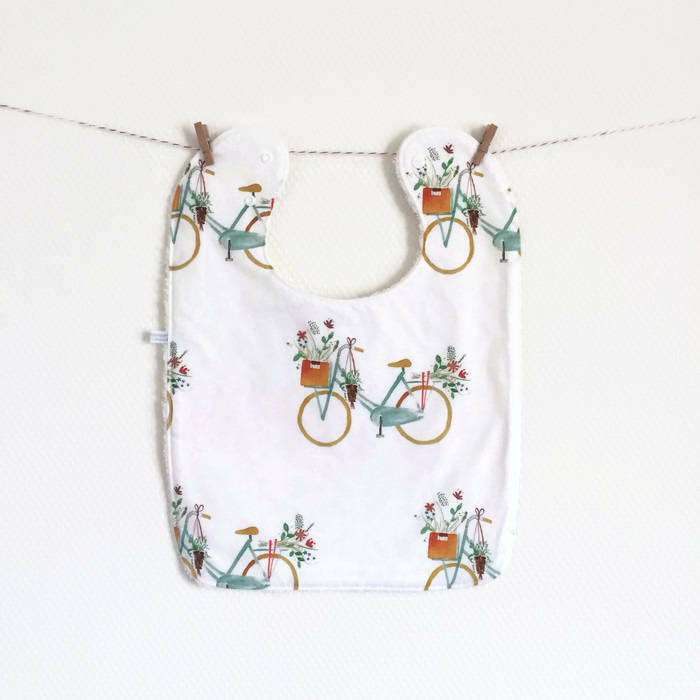 These bibs are the perfect size for toddler aged kids, but also offer that little bit of extra coverage for babies just starting solids.